This is not the first time that a product has used Transformer elements in its design---there are cars, houses, boxes, and even desks that apply the Transformer extraterrestrial mechanic pattern and austere metal structure. But very few are products that not only apply the elements but also assume the name unabridged and unaltered. Vaporesso might have paid dearly for this right to or it might just appropriated the name without informing the copyright holders of transformers. Okay, back on the Mod. 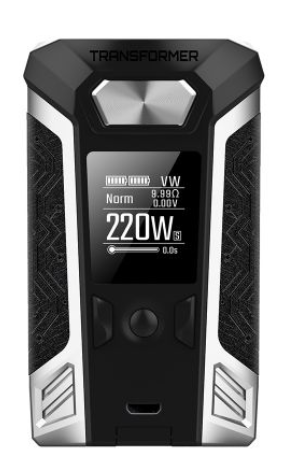 Powered by dual high-rate 18650 batteries, the Transformer TC Box Mod is able to deliver a maximum power output of 220W. Its most up-to-date chipset OMNI Board 2.6 features simple operation with the addition of virtue keys, presenting puff number statistics and offering high power protection function for small power atomizers. Its all -metal case which provides protection against scratches and shock, being fully replaceable, offers more choices for appearance preference. On top of that, the optional lighting version (Transformer LE) furnishes the Mod with even more color options. 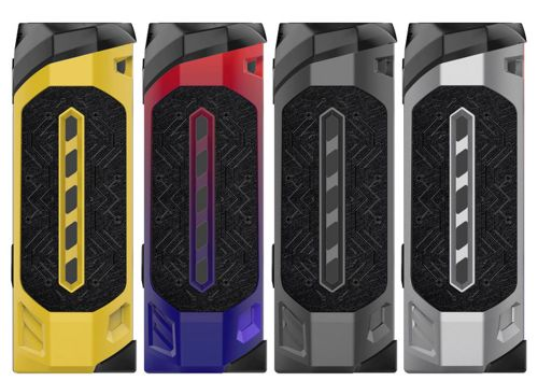 The Transformer Mod adopts 2.5A quick charge to reduce charging time.